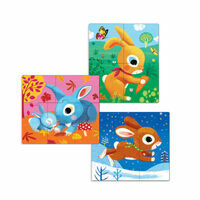 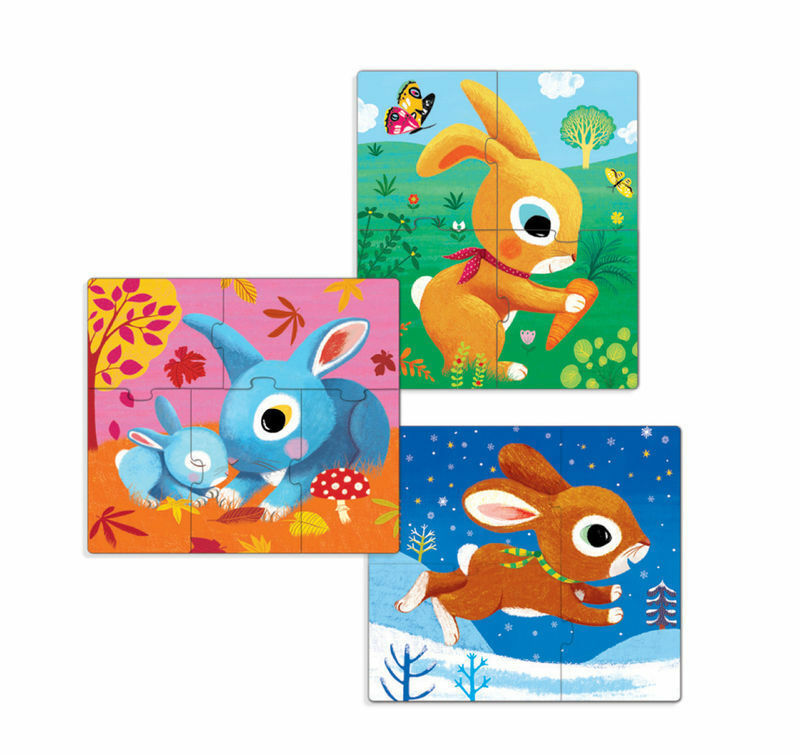 Three adorable bunny puzzles. 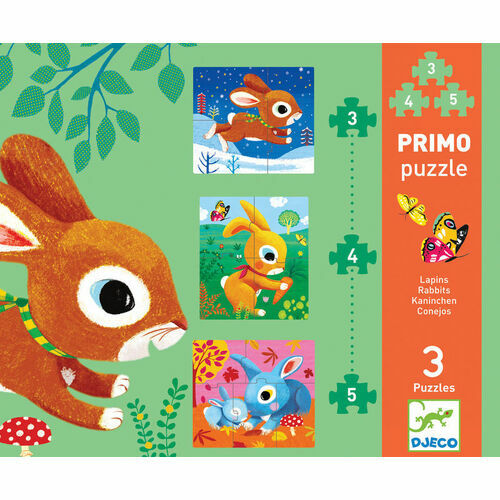 A fantastic product to assist in childhood development and assist in advanacing your child's problem solving skills. 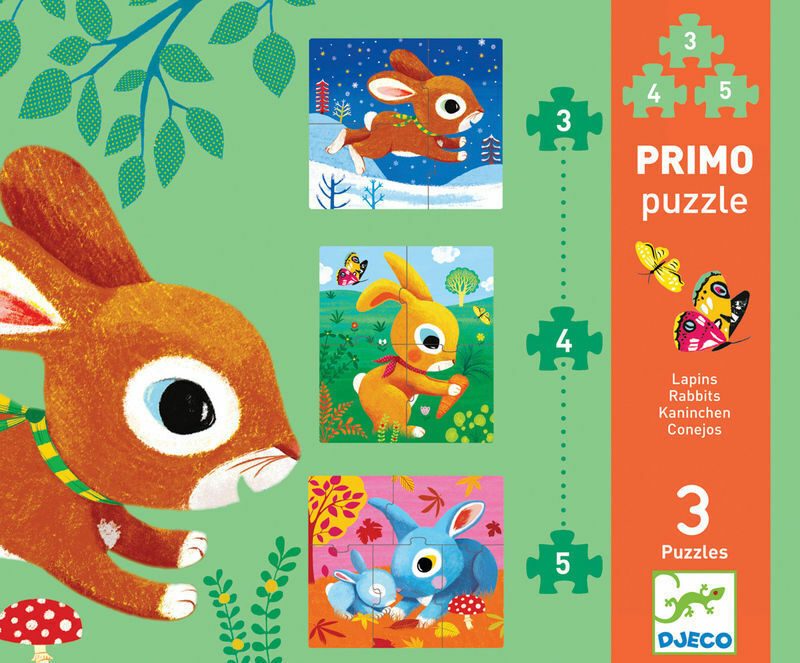 Includes 3 piece, 4 piece and 5 piece puzzles.